Summary from IMDB: A blind young man (Pine) thinks he finds love with an Indian woman (Jay), though their relationship is fraught with cultural differences. Review: I've been working through my Chris Pine movie list and this one came up. It was hilarious. I'm usually skeptical about movies done early on in an actors carrier, just because they are new to acting and you can tell. This movie was really well done. 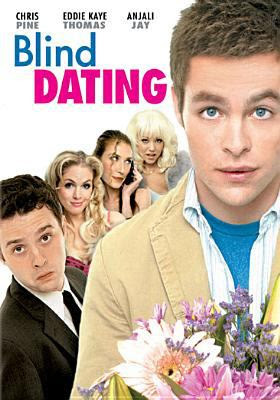 Chris Pine plays a blind guy who has never been with a woman. His brother decides to set him up on all these dates and they don't turn out so well. It was a great concept and I loved it. I'm going to give this movie five stars. It was that awesome.